Ultherapy is a new type of non-surgical, non-invasive procedure, using ultrasound and the body’s natural healing process to lift, tone, and tighten skin on the brow, neck, and under the chin. Ultherapy is the only FDA-cleared procedure that safely stimulates the deep layers of the skin -- typically addressed in a surgical facelift—without disturbing the skin’s surface. With Ultherapy, there’s no downtime, foreign substances, or radical change. After a single, 60-90 minute in-office procedure, patients typically notice a short-term “boost” in appearance. But the natural process of creating new, more elastic, collagen builds over time—like exercise has on building muscle. Results will unfold over 2-3 months. Some patients report continued improvement for up to 6 months, including lifting and tightening of the skin on the neck, under the chin, along the jawline, and on the brow. Unlike lasers, Ultherapy bypasses the skin’s surface, targeting the deep, structural skin tissues where collagen lives. Using ultrasound technology, Ultherapy works from the inside-out to lift and tighten skin non-invasively. Ultherapy is similar to ultrasound imaging procedures expectant mothers may receive that allows the patient to “see” where to treat. However, Ultherapy also delivers tiny deposits of focused ultrasound energy below the skin, at the same layer typically addressed in a surgical facelift. By doing this, Ultherapy reconditions tired skin by stimulating growth of fresh, new collagen. 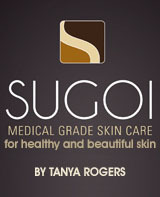 The result is a tightening and gradual lifting of the skin into a more youthful position and form-fitting shape. 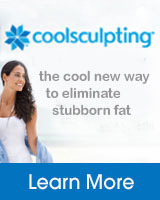 See how Ultheraphy has helped famous actress Courtney Cox. Setup an appointment to see what Ultherapy® can do for you. Although Thermage is a procedure used for more than 10 years, patient’s satisfaction ratings after the procedure are only 38% out of 278 patients. Many doctors also find Thermage less predictable when diagnosing which patients will benefit the most from the procedure. With Ultherapy, ratings are 74% out of 304 patients. 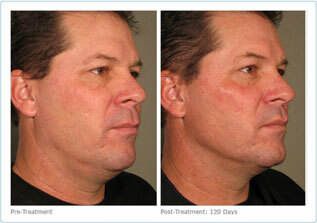 Ultherapy’s technology is newer and the only device FDA-approved to tighten and lift the chin, neck, and eyebrows. Ultherapy uses ultrasound to go deeper, reaching down with more precision, depth and heat, which provides the “lift.” Doctors also recommend Ultherapy to avoid sagging over wrinkles. Setup an appointment with us to discuss your options. 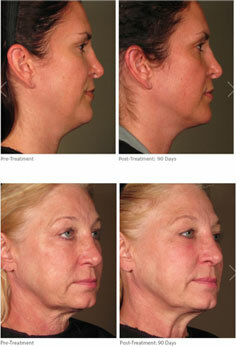 or go to Ultherapy.com to learn more about this type of facelift therapy.